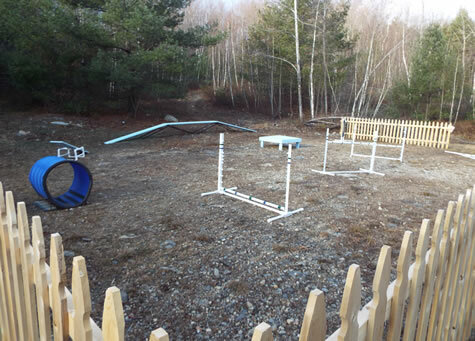 Raymond’s newest Eagle Scout project benefits both the Town’s dogs and its dog owners. Luke Vadeboncoeur, 18, the son of Jill and Marc Vadeboncoeur of Raymond and a senior at Raymond High School, attained the rank of Eagle Scout on Nov. 15 at the Eagle Board of Review. 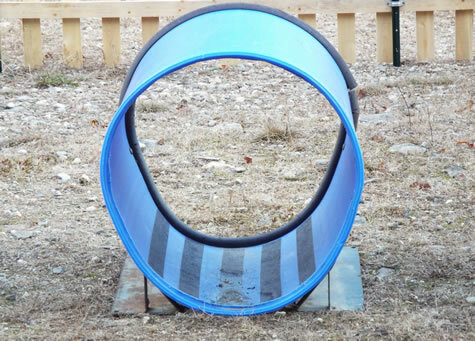 For Vadeboncoeur’s Eagle project, he built and installed an agility course at the dog park at Riverside Park in Raymond. 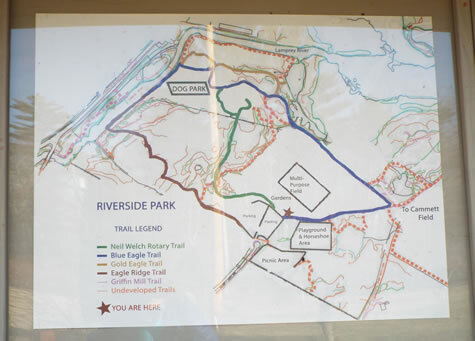 He also trimmed trees around the dog park entrance and cleaned up the area and surrounded the agility course with a wooden fence, so that dogs running the course would not be distracted by canines using the rest of the dog park. While Vadeboncoeur does not do agility work with his two dogs – Goober, a yellow Labrador retriever mix, and Bowser, a short-haired Saint Bernard mix - he said he saw dogs running agility at a dog park he visited with his grandparents, and thought it would be a good addition for Raymond. He started work on the project in July and finished at the end of October, and said the agility course is now open for use. 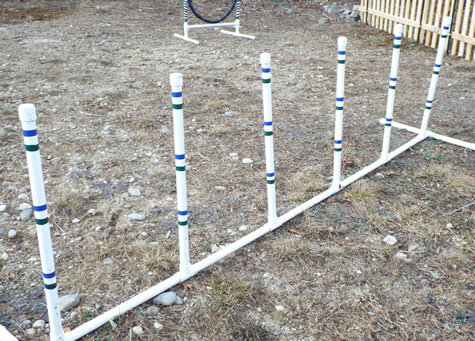 Vadeboncoeur said Raymond resident Cheryl Killam, who competes in agility, donated metal jumps for the course, and Ben Franklin Ace Hardware was generous with donating supplies. “The new owner was ecstatic to help,” he said. He added that his father provided quite a bit of assistance as well, particularly with the use of power tools and saws. Raymond Animal Hospital also donated money for the project. Vadeboncoeur said that overall, he put in 60 to 80 man-hours worth of work in planning and building the course. 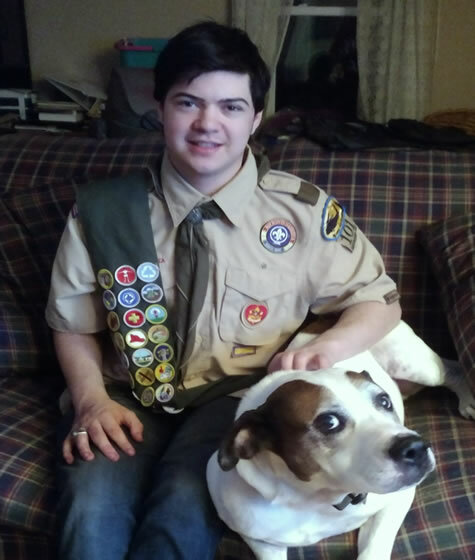 Vadeboncoeur, a member of Raymond Troop 101, under the leadership of Scott Rogers of Raymond, has been a scout for 10 years. He began his scouting career as a Wolf scout in second grade and has continued ever since. His fellow scouts provided help with the project, and he singled out the Forrestall family and their sons - Seamus, Sean and Liam - for their assistance. “When I did my fundraising, I brought along one of my dogs and that helped – people love dogs,” he added. Vadeboncoeur has enjoyed his experience in the scouting program. “I love making friends and having fun with each other and going on trips,” he said. He noted that his troop has gone to Hawaii and Canada, and in 2013 he attended the National Scout Jamboree in West Virginia, where he met scouts from throughout the United States and from overseas. “When I went before the Eagle Board of Review, they asked questions about what I learned in scouts and about my project,” he said. “I’m very thankful the Board of Review decided I had attained the rank of Eagle. I’ve been working for this for 10 years. I remember always wanting to continue in scouting and to go through the ranks to Eagle. “My granddad and uncle both were Eagle Scouts, and I thought it would be a great achievement to continue this tradition in my family,” he said. Vadeboncoeur is also proud that he is the first in his family to earn the Eagle Palm, which is given to a scout who earns five or more merit badges beyond what are required to achieve Eagle rank alone. While Vadeboncoeur said he plans to help out with his troop, he is currently more focused on school and on applying to college, where he hopes to study game design. He said his Eagle Court of Honor ceremony will likely take place in May 2018. 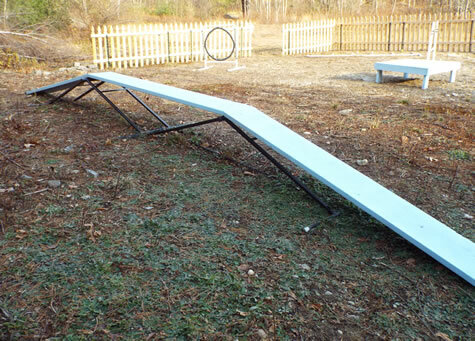 Two jumps and the pause table. 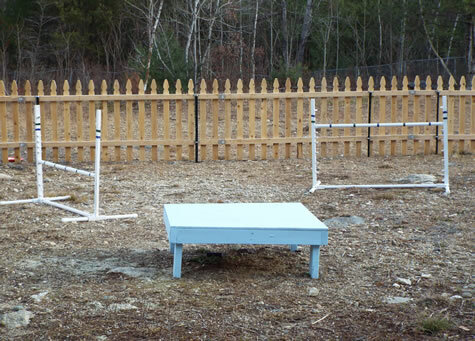 Dog agility equipment inside the Riverside Bark Dog Park. 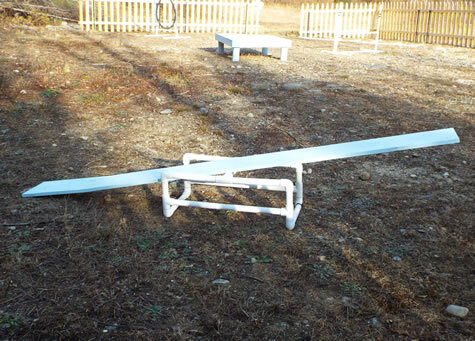 The dog agility equipment can be found by following the trail to the dog park.